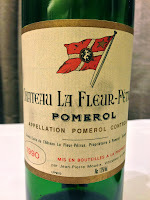 Pol Roger Brut Réserve, disgorged at least 12 years ago - nose was really grassy, almost a little moldy, caramelized, very ripe, with Chinese licorice (甘草), kinda plummy, and a little sharp. 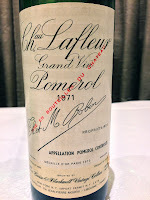 There were still a reasonable amount of bubbles here, so it didn't feel that old, and certainly not something that was disgorged 30-40 years ago as it would have oxidized further. 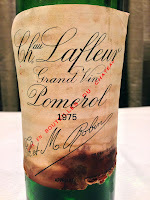 1971 Lafleur - fruity and forward, more raisiny, opened up amazingly for just a whiff before muting down again. Slightly higher acidity here and lighter. 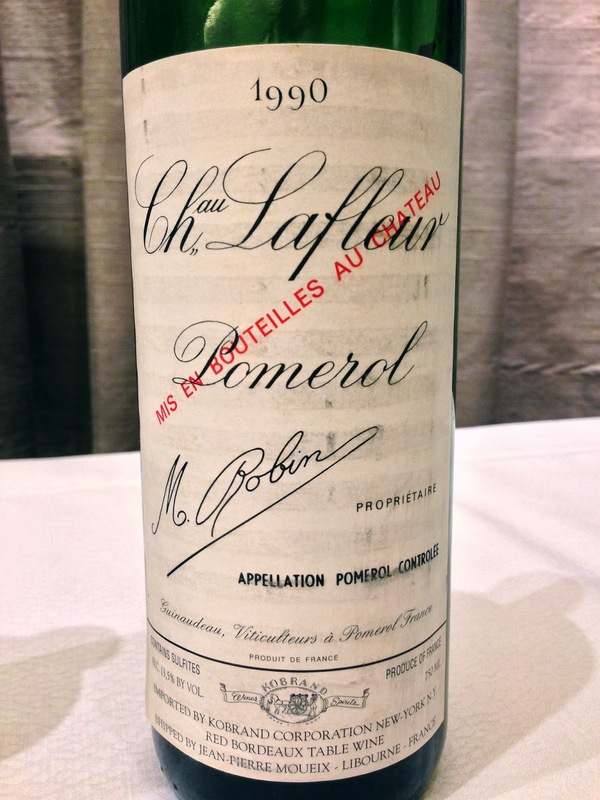 Pretty exotic, stewed nose, with blackcurrant. 95 points. 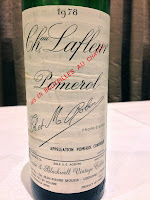 1978 Lafleur - really beautiful, minty, open and fragrant nose. 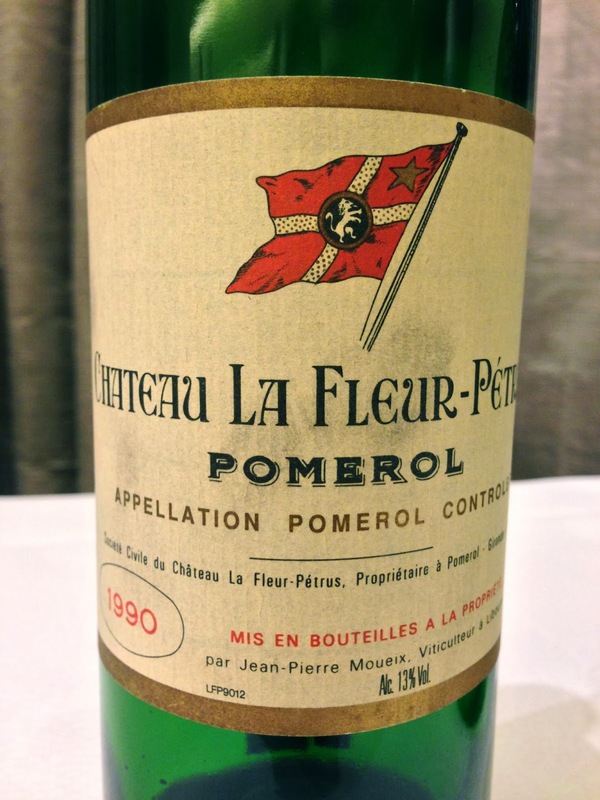 Smoky, slightly earthy, classic Bordeaux, grassy, leathery, with a little brett. 96 points. 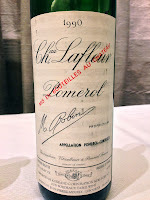 1975 Lafleur - minty, open and wonderful nose, smoky. Later on savory like soy sauce. 93 points. 1979 Lafleur - smoky, forest, potpourri, coconut butter, toffee, a hint of burnt rubber on the nose. Ripe and sweet on palate. 95 points. 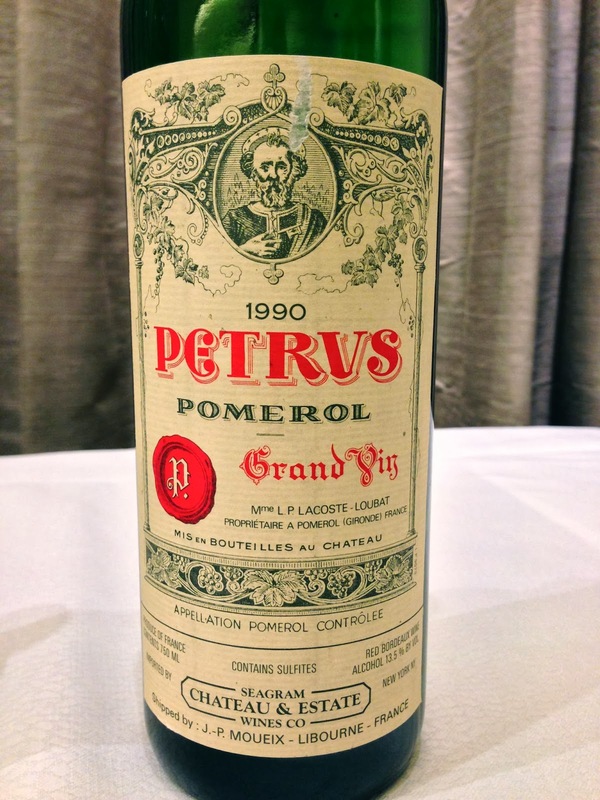 1990 Lafleur-Petrus - a little smoky, a little pungent but beautiful nose. Slightly sharp, and a little savory. 94 points. 1990 Lafleur - a little ripe, a little muted at first. 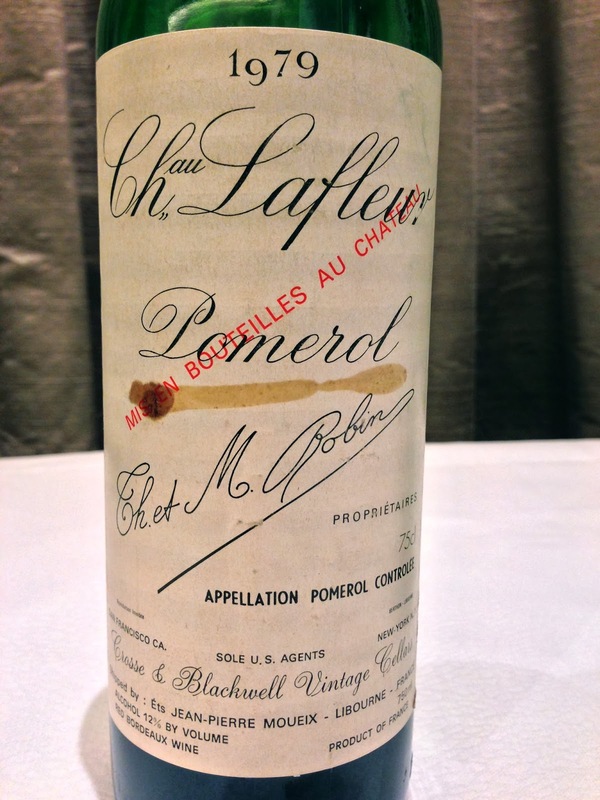 4½ hours after opening the nose was much sweeter, but still a little bit sharp. 95 points. 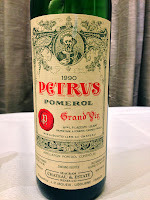 1990 Petrus - a little green pepper, smoky, cooler fruit and not as ripe. 94 points.